A foodie furore has erupted in Ottawa over the decision of Service Ontario to cancel the registration of the name “Union Local 613” for an Ottawa restaurant. The popular and well-reviewed restaurant has been in operation since July 2012 and its website indicates that the name was chosen to reflect a “Brotherhood of Cookers, Eaters & Drinkers”. The number 613 is the area code for the Ottawa region. The decision by Service Ontario was made under the Business Names Act, which provides, in section 4(7) that the registrar of business names may cancel a registration where the name “does not comply with the prescribed requirements” of the legislation. These requirements are set out in the Restrictions Respecting Names. Article 4(7) of the regulations states that “A name shown in a registration must not use a word or expression that would suggest that the registrant is a form of organization that the registrant is not.” Clearly, the concern of the Registrar is that the reference to a union local might suggest to the public that the restaurant is run by or affiliated with a union. The owners of the restaurant have a right to appeal the decision of the Registrar to the Divisional Court. The wording of the regulation is such that it is triggered where a name “would suggest” a different form of organization. This is not a confusion standard – the issue is not whether there is a likelihood that the public would be confused or misled into thinking that the restaurant is somehow associated with a particular union. Clearly, the uproar in the blogosphere regarding the province’s decision would suggest that actual and prospective patrons of this popular eatery are not at all confused. The restaurant’s website gives prominent place to its slogan “Brotherhood of Cookers, Eaters & Drinkers”, and for those who visit the restaurant or its website, the risk of confusion seems small. Yet with a much lower threshold for rejecting the name in the regulations – a mere suggestion – the chances of success on appeal may be small. The principle served by article 4(7) is a legitimate one. To allow names that might lead members of the public to think they were dealing with charities, unions, non-profits, or other types of organizations when in fact they are not, could put the public at risk of potentially harmful deception. Yet in this case, any “suggestion” that the restaurant is somehow union affiliated seems utterly remote since the kinds of services offered by unions to their membership typically do not involve food. One cannot help but feel sympathy for the restaurant owners who have already built considerable goodwill in a name that was chosen specifically to evoke a spirit of foodie solidarity in the Ottawa region. NOTE: October 25, 2012 - It is reported in the news that Service Ontario has decided to allow Union Local 613 to keep their name. Apparently, the fact that the name had initially been registered, and that the restaurant had already acquired substantial goodwill under that name, prompted a reconsideration. The media attention to the issue probably also played a role. The Quebec Court of Appeal has overturned the decision of Justice Zerbisias of the Quebec Superior Court to award $125,000 in extra-judicial costs and punitive damages against a company that lost a trademark infringement suit. At the end of the trial, counsel for the defendant made an oral motion seeking extra judicial costs and punitive damages against the plaintiffs. They relied upon provisions in the Quebec Code of Civil Procedure that came into effect on June 4, 2009. The Bill which added these provisions was titled “An Act to amend the Code of Civil Procedure to prevent improper use of the courts and promote freedom of expression and citizen participation in public debate.” (S.Q. 2009, c-12) In short, these provisions are a kind of anti-SLAPP legislation. Strategic Lawsuits Against Public Participation (SLAPP) are typically baseless law suits that have as their goal the intimidation of those who are critical of or who oppose certain types of activity. The intimidation is chiefly economic; the cost of defending against a SLAPP suit can be devastating for most individuals or public interest groups. In this case, the defendant argued that the plaintiffs had “engaged in manifestly unfounded, frivolous, vexations proceedings, excessive and unreasonable in the circumstances, in an attempt to bully it and to prevent it from the lawful exercise of its rights to use its trade-mark and to engage in business under the name of Olivia’s Oasis” (at para 56). Justice Zerbisias agreed. In a very blunt assessment of the conduct of the plaintiffs she found that they had “unnecessarily pursued a claim they knew or should have known would not succeed” (at para 63). She based this conclusion on the sharp differences between the parties’ wares and target clientele, and on the fact that there had been no evidence of any confusion over the 5-year period of concurrent use of the parties’ trademarks. 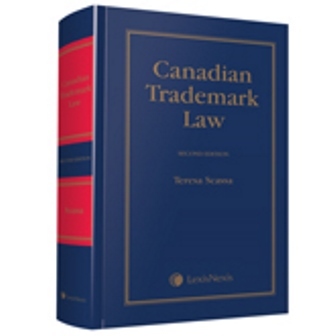 She found as well that the plaintiffs knew that the word OASIS was not a strong mark, and that there were many other registered trademarks incorporating that word, as well as many other businesses in Canada that used the word as part of their business name. Justice Zerbisias noted the disparity in power and resources between the parties, and referred to the plaintiffs’ conduct as “menacing and abusive”. The plaintiffs did not appeal the judge’s finding of lack of confusion; instead, they confined their appeal to arguing that the award of extra-judicial costs and punitive damages was not justified on the facts, and that even if it was, the calculation of the amount of extra-judicial costs was not based on any evidence and was therefore flawed. In its decision on March 30, 2012, the Court of Appeal agreed on both points. The most significant finding, of course, is that the conduct of the plaintiffs did not amount to the kind of abuse contemplated by articles 54.1 and 54.4 of the Code of Civil Procedure. The Court began by noting that there was nothing in the actual conduct of proceedings that was abusive. The defendant’s argument depended instead on a finding that the proceedings should not have been brought in the first place. In contrast to the trial judge, however, the Court of Appeal found nothing to suggest that the commencement of proceedings was inappropriate. They noted that there was nothing inherently excessive about seeking to enforce one’s trademark rights. Once the plaintiffs had concluded that there was a risk of confusion created by the defendant’s mark, the plaintiffs were within their rights both to oppose its registration and to sue for trademark infringement. The Court noted that this was not simply the normal practice in such situations; it was almost an obligation in order to protect one’s trademark rights. The Court of Appeal was also unprepared to find that the action commenced by the plaintiffs was doomed to fail from the outset. They noted that the trial judge spent 50 paragraphs of her decision discussing the issue of confusion following a five-day trial and a long period of deliberation. They observed as well that good faith must be presumed, and bad faith must be proven. They found no evidence to support the conclusion that the plaintiffs were motivated by bad faith. While the trial judge had found that other suits brought by the plaintiffs against other holders of marks for vastly different wares or services that incorporated the word “oasis” was evidence of a pattern of conduct, the Court of Appeal refused to draw an inference that this was evidence of harassment of any and all who might use the word “oasis” in relation to a business. They noted that a different inference could well be made: that the plaintiffs sought to protect the distinctiveness of their trademark. The Court indicated that much more evidence would need to be provided to support a finding of bad faith. The case raises interesting issues about what might constitute sufficient proof of bad faith to give the anti-SLAPP provisions any application in the trademark context. It is certainly the practice for trademark owners to vigorously defend the distinctiveness of their marks; loss of distinctiveness is fatal for a trademark. The kind of disparity in economic power in this case is not unusual in a context where a new entrant in the market place has adopted a trademark that an established company might see as encroaching upon their existing trademark rights. The assessment of confusion requires a fact-driven, contextual analysis; it is not something that is always apparent on the face of things. Perhaps the anti-SLAPP provisions might have a greater role to play when there is better evidence either that the rights being asserted are dubious, or that they are being asserted in a vexatious manner. This might occur where the proceedings themselves are conducted in an abusive manner, or where there is evidence of the bad faith assertion of trademark rights that goes beyond the normal practice of protecting one’s interests. It might also occur in circumstances where the plaintiff has no valid cause of action. For example, the non-commercial, critical use of a trademark seems to fall outside the scope of the legislation (although such a use of a design mark might infringe copyright, which raises a different set of issues). Such a case would also raise the freedom of expression issues which seem to be identified as central to the bill which brought about the amendments to the Code of Civil Procedure. The Federal government launched a new open data initiative in March 2011. One year in, the pilot project is growing and evolving. The government has also integrated the open data portal within a broader open government initiative. This initiative has three main components: open data, open information and open dialogue. The initiative is important, and it brings Canada into line with similar initiatives already underway in comparable democracies such as the United Kingdom, the United States, Australia and New Zealand, to name just a few. Of course, the open government movement has taken hold elsewhere in Canada too. Notable initiatives are found at the provincial government level in B.C., and in major municipalities such as Vancouver, Toronto, Edmonton and Ottawa. The open data part of open government sees governments providing data sets to the public, free of cost and of most restrictions. The idea is stimulate innovation (allowing application developers, for example, to develop innovative ways to make use of the information); to improve services to the public (for example, applications involving public transit data have been hugely popular to transit system users); to allow researchers better access to data for analysis and study; and to improve government transparency. To be truly effective, data must be provided in usable (machine readable) formats; standardization of formats is important if different data sets are to be combined. In a country such as Canada which still clings to Crown copyright, and where both Federal and Provincial crowns have asserted rights to their data (notwithstanding that copyright does not protect facts, only the original selection or arrangement of facts), the licensing of government data through open data initiatives is important. 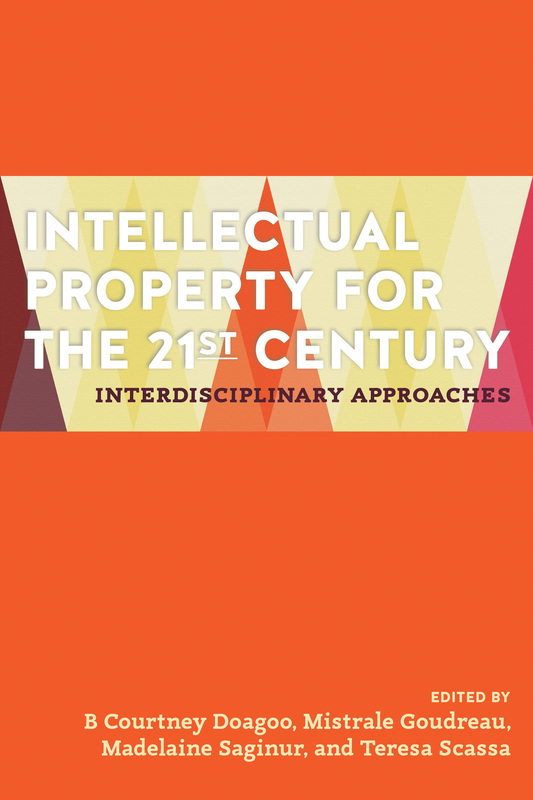 (See my own article on copyright in fact based works here; and an excellent piece by Elizabeth Judge on access to and use of public sector information here). The default position has been for the government to assert its rights. Open data requires a major cultural shift. This is clearly something that is still in process at the federal level in Canada. A look at the licence currently (as of March 16, 2012) available through the open government portal reveals a licence that in theory lets go of the data, but that does so wrapped in excessively legalistic formulations. An important element of interoperability of data sets is the compatibility of the licences under which they are granted. There are real advantages to open government licences that evolve along very similar lines. The U.K. government developed an open government license that has the virtue of being accessible and user-friendly, and that clearly conveys the message that the data is there to be used as freely as possible. This licence has been used as a template for B.C.’s open data licence. The Canadian government portal is a work in process; let’s hope that a new version of the licence will soon be forthcoming.